While digital is no longer a new medium, many brands, especially those that are just starting out, are still struggling with the basics. Advertising + Marketing recently organised an event – “Rethinking digital – leveraging the power of cross-media marketing” – and gathered experts to talk about the topic in detail. With more than 80 marketers in the room, the event sponsored by Yahoo saw speakers from Millward Brown, KFC, Mindshare and Yahoo touch on various aspects of digital marketing. “As marketers we are in a war of sorts – how to get market share, generate brand awareness, gain share of mind of consumers and so on. It’s always about crafting the right plan, delivering on your KPIs and charging ahead of your competitors,” said Kelvin Hong, general manager of marketing at KFC Holdings Malaysia. Hong, in his presentation, featured multiple case studies from KFC and also shared some common mistakes marketers commit. “A lot of us want to jump into digital without really understanding its role. Don’t look at digital in a silo. It is important to integrate it with existing traditional marketing strategies and platforms,” he said. While not all brands will have the expertise right away, jumping on the digital/social media bandwagon for the sake of it, is wrong to begin with, Hong warned. But it’s not the agencies only that are at fault, Hong said. As brand custodians, marketers must be able to ensure agencies don’t do it. “Marketers should not encourage this behaviour and challenge the agencies to think about digital as another medium with its own set of requirements. Marketers tend to fret over KPIs, Hong said. According to him, brands starting out with digital should have simple KPIs. Brand story does not equate to brand broadcast, said Hong. It is important to bear these three points in mind. Keep digital content social at heart; don’t drown the audience with your story and listen to theirs. Each platform is unique; find out what works for you. Make it easy, simple and rewarding; if it’s complicated it means you’re heading for failure. 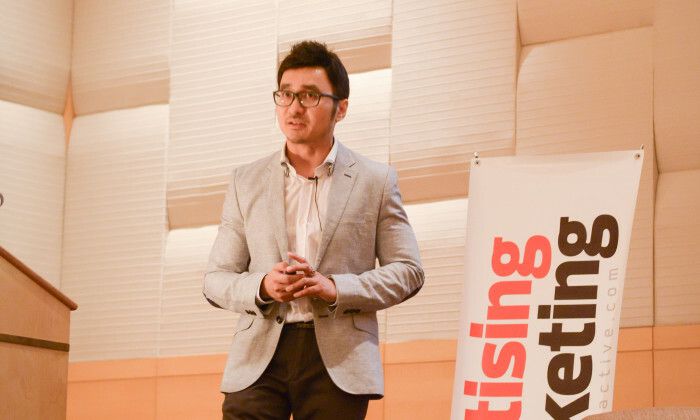 Content helps a brand go beyond the traditional banners and search advertising to sell a brand message in an informative or entertaining manner to consumers, in a native voice, said Rueben Vijaratnam, deputy head of ad sales for Yahoo Malaysia. It caters to the always-on user, but the challenge brands often struggle with is great content and its distribution. Citing the example of Bellroy Wallets, Vijaratnam said not all content marketing had to be as expensive as scripting a film or sending a man to the edge of space. Talking about LEGO, he said about the same time of the movie launch for LEGO, it also launched an official content marketing site in Singapore (and Hong Kong). The site spoke about how Lego was really good for early development in young children. The articles on the site spoke to parents and children. For parents, the site focused on how children enjoyed playing with LEGO, while enhancing their skills, how to develop creativity in children, and other family oriented content on spending quality time with children. Mean a lot to a small group of people. What about the rest of the mediums? According to insights from Millward Brown’s CrossMedia Research, TV is still the key driver of awareness in Southeast Asia. While other media change mindsets, TV and online persuade. But given the fragmentation of media, what should brands bear in mind? Here are three tips from Rob Valsler, regional director of media solutions at Millward Brown. Campaigns should not be designed in the myopic pursuit of reach and frequency; brands should add channels to duplicate and multiply brand effects. Thinking in terms of a “primary” channel and “the rest” can be high risk; a more equitable division of the marketing efforts is optimal. Don’t be slaves to TV-centric SOV; to avoid over delivery and wastage, re-allocate budgets from under-performing channels. He will be working along side Charles Cadell, president of McCann Worldgroup Asia Pacific and Jesse Lin, chief executive officer o..